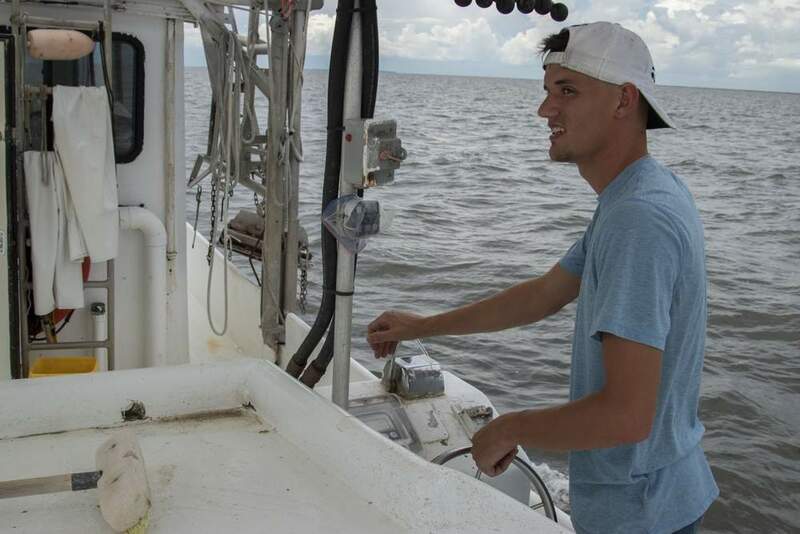 Measurements and scientific research aside, mud-dwelling crabs and eels swimming at the water’s surface in an attempt to get air was a good indication there are oxygen problems down below in the Gulf of Mexico. That’s what researchers saw during a research cruise July 21-28 in the Gulf, along with a large, although not record-breaking, area of low oxygen known as the dead zone. 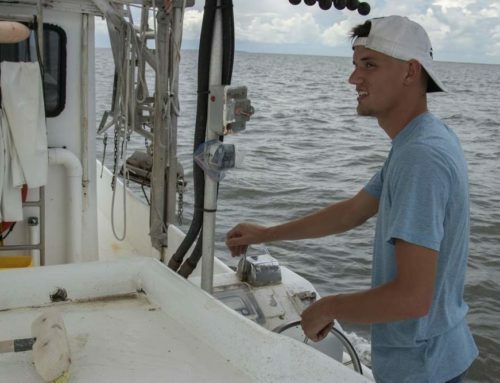 This annual National Oceanic and Atmospheric Administration cruise, organized by Louisiana Universities Marine Consortium, found a low-oxygen area that measures 5,840 square miles. 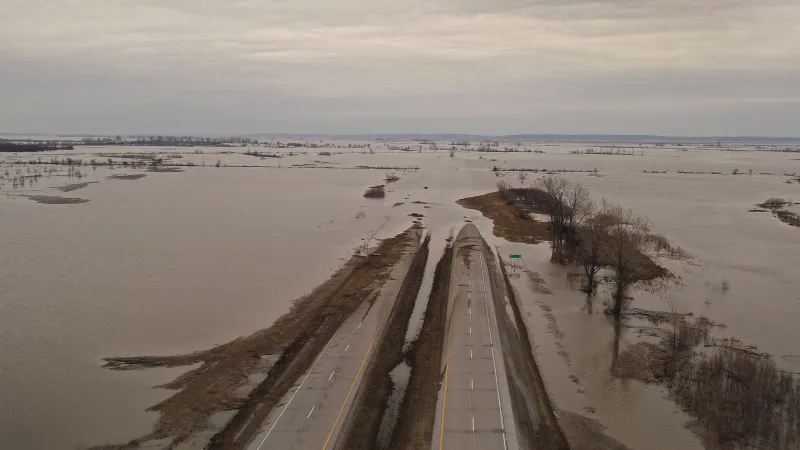 That’s smaller than what the NOAA-sponsored forecast model — developed by Eugene Turner, a professor in the LSU School of the Coast and Environment, and Donald Scavia, at the University of Michigan — predicted in June. That forecast called for a dead zone of 7,286 to 8,561 square miles. The dead zone is caused by nutrients such as fertilizer that flow into the Gulf and help feed small organisms. When these organisms die and fall to the sea floor, they use up oxygen as they decompose. Without storms or windy weather to help mix oxygen-rich water with low-oxygen water, the low-oxygen water accumulates to a point that it no longer can sustain marine life. 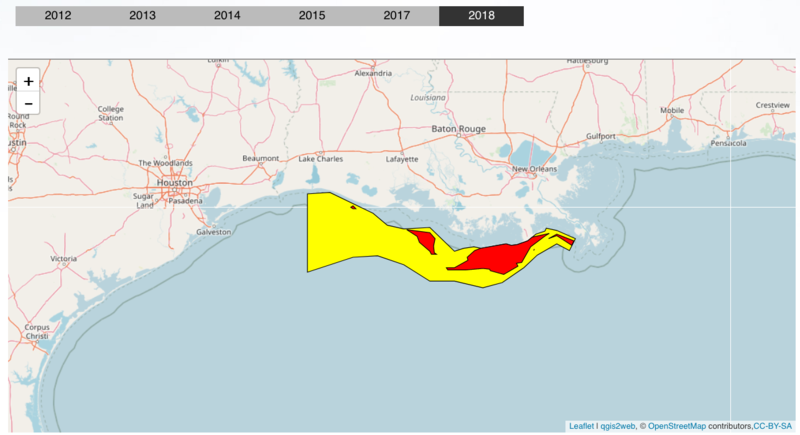 Nancy Rabalais, executive director of the Louisiana Universities Marine Consortium, said windy conditions along the coast this year helped mix the water columns, leading to a smaller dead zone footprint. 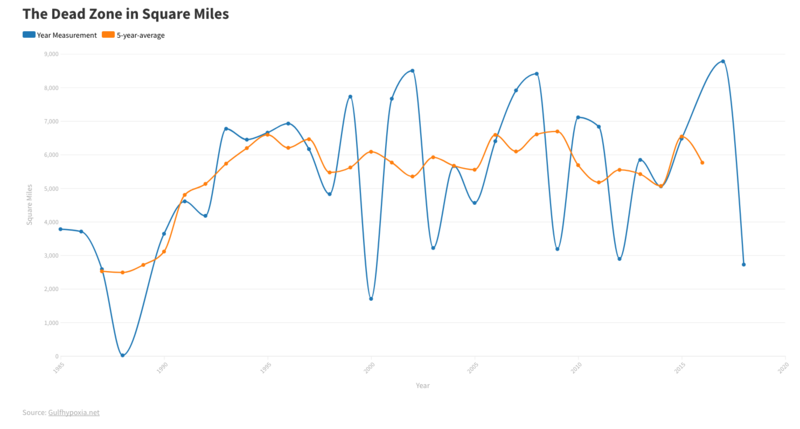 However, one area on the southeast side of the monitoring runs near the Mississippi River had been mixed up during the first pass but measurements seven days later after calm weather showed the low oxygen levels starting to return, said Rabalais, who led the research cruise. 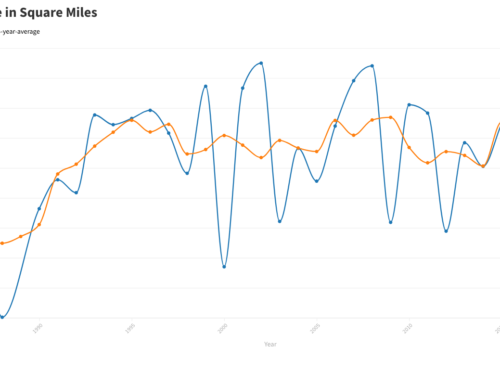 “We also found a lot of stations that were very low. Almost zero,” Rabalais said. The largest dead zone measured was in 2002, when the low-oxygen area stretched for 8,481 square miles. The smallest dead zone recorded was 15 square miles in 1988. Although smaller than predicted, the low-oxygen area found this summer is still above the average of the past five years of 5,176 square miles. In an attempt to address the situation, the Gulf of Mexico/Mississippi River Watershed Nutrient Task Force, in its 2001 plan, set a goal of reducing the dead zone to 1,900 square miles. That goal was re-emphasized in a 2008 update. However, very little has been accomplished to attain that goal, environmental activists say. The Gulf Restoration Network was one of a group of environmental groups that sued the U.S. Environmental Protection Agency in March 2012 to try to force the agency to respond to a 2007 petition asking for new nutrient regulations. In addition, the group is challenging a denial of a 2008 petition to the EPA asking for the agency to adopt standards on nutrients to reduce the dead zone’s size. “Finally, the Department of Agriculture on its own has started targeting some of their conservation programs (to reduce nutrients) but those conservation programs are getting gutted by Congress,” Sarthou said. 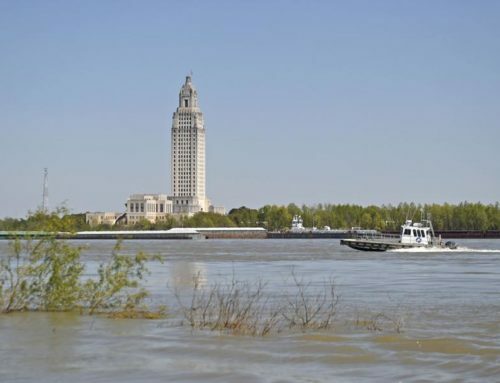 She said the state of Louisiana needs to take a more active role to reduce nutrients in the Mississippi River, particularly in light of recent opposition to large diversions of sediment and water from the river for wetland creation. “A lot of opposition to diversions relate to nutrient levels in the river,” she said. 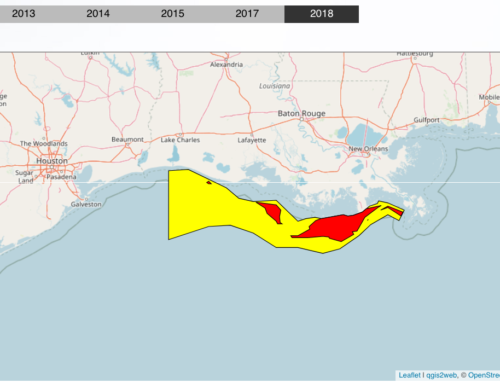 Four state agencies, through the Louisiana State Nutrient Team, are working on a plan to examine Louisiana’s contributions to nutrients that end up in the Gulf of Mexico. Those agencies are the Coastal Protection and Restoration Authority, Department of Agriculture and Forestry, Department of Environmental Quality, and Department of Natural Resources. 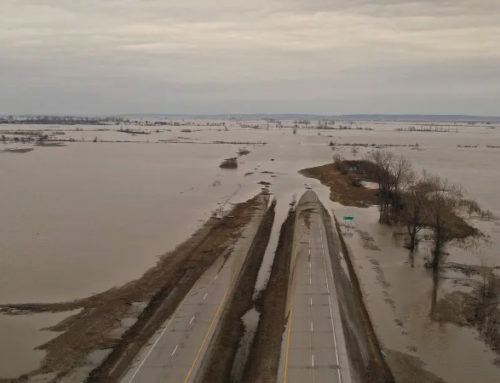 State officials have said diversions of water from the Mississippi River into marsh areas could help reduce the amount of nutrients that make it to the Gulf as plants take up the nutrients. Other researchers dispute whether diversions will help and instead have said extra nutrients can actually weaken coastal marshes. A final draft of the plan the team is working on is expected to be completed by the end of the year. For more information, log onto lanutrientmanagement.org.